Gift vouchers available in the following denominations – £10, £15, £20, £25, £30, £40 or £50. For groups of 4 or more – Footgolf, Pizza and a Pint just £18! Please complete either the gift voucher or group booking form below. Once submitted a member of the team will contact you shortly. If you are interested in purchasing gift vouchers for Goal in One, Cornwall please complete the form below. 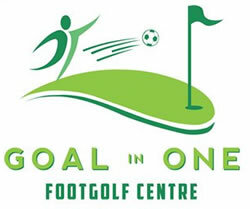 If you are interested in making a group booking for Goal in One, Cornwall and taking advantage of their Footgolf, Pizza and Pint offer for £18, please complete the form below.